This course will help the students become well rounded in the fundamentals of digital photography. Four areas of instruction will be emphasized: How cameras work, how composition works, how lighting works, how to use photo editing software. Students will, generally, receive basic instruction, demonstration, and see samples of the desired outcomes, at the beginning of each period. They will be allowed to go outside and shoot assignments, based on what they are learning. Perhaps the most useful part of classroom instruction will be editing and modifying images shot by the students. They will see what makes a successful photo and what does not. Know how to use various features of the camera to have creative control of your photographs. Be able to decide what type of lighting to use in a given situation to produce optimum results. Show up in class, on time! Take part in class discussions and critiques of photos presented in class. Access to a digital camera is essential! 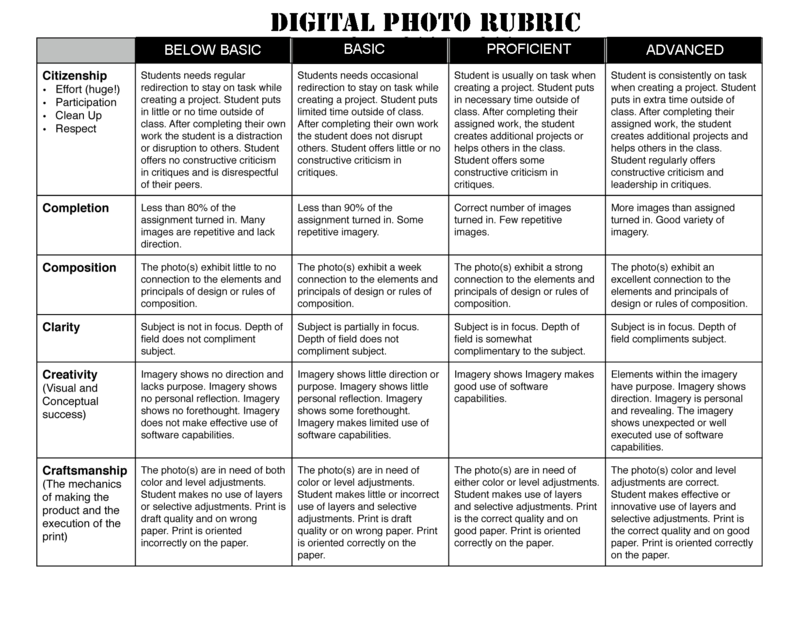 (Both Compact Digital Cameras or SLR Digital cameras are acceptable) *The class will provide compact digital cameras students may use during class time. · Students are to handle all class equipment, (including computers, cameras, lights, etc.) with care. 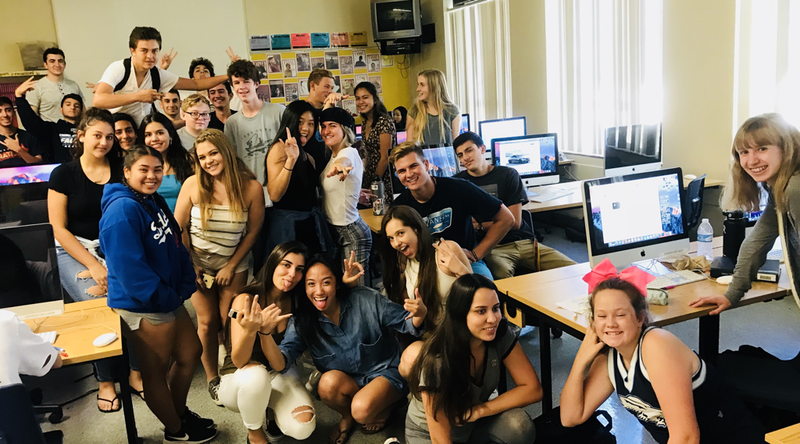 · Students are to avoid shooting photos in or near other classrooms so they will not disrupt the teaching and learning of others. · Students are not permitted to leave the school campus during class time to shoot photos. · Food and beverages are not permitted in the classroom except at designated area. · Class lab time is expected to be spent working on assignments. Students will not be allowed to defer shooting photos, or editing photos until a later time. · Photos taken at home may only be counted for extra credit, and then only if a student has completed all of the other assignments for the class. Photo assignments will be graded on their quality, creativeness, relevance to the assignment, and ability to communicate an idea or message. Quizzes will be multiple-choice or vocabulary. The photographer PowerPoint report will be presented in class. Grading Scale Percentage Letter Grade 93 – 100 A, 90 – 92 A-, 87 – 89 B+, 83 – 86 B, 80 – 82 B-, 77 – 79 C+, 73 – 76 C, 70 – 72 C-, 67 – 69 D+, 63 – 66 D, 60 – 62 D-, 59 and below F Grades are NOT rounded. For example, 89.9% is B+.